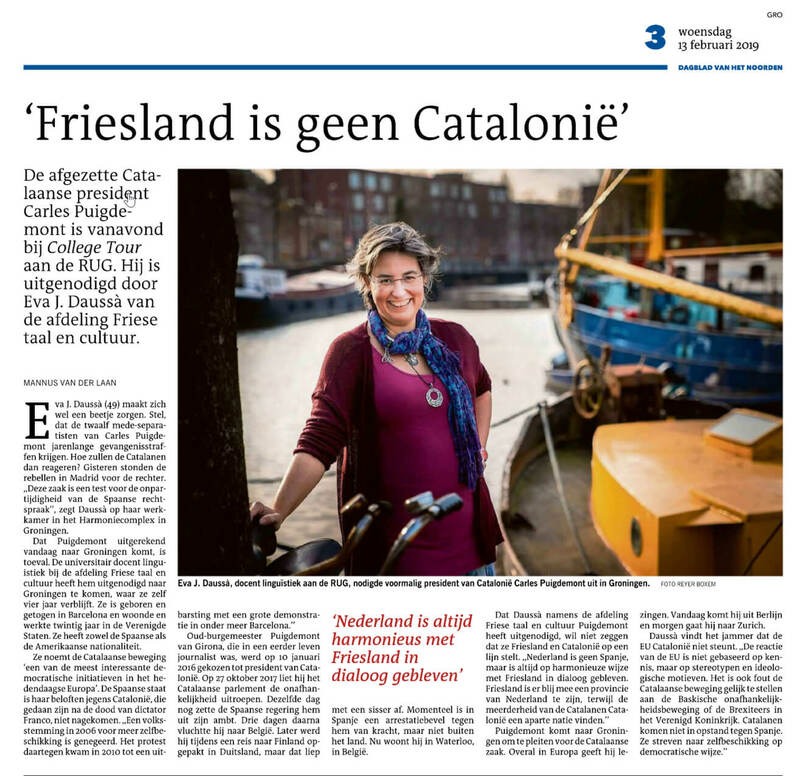 Catalan politican Carles Puigdemont is visiting Groningen on Wednesday 13 February for a College Tour. Puigdemont was invited by our lecturer Eva Daussà on behalf of our department Minorities & Multilingualism. During his visit, Puigdemont will share his experiences of past and current events, his ideas and vision about the future of Catalonia and Europe, and his proposals about how to resolve a situation that is affecting us all in Europe. He will be interviewed for College Tour (organised by Studium Generale) by Tim Huiskes. The event is sold out, but you can watch the livestream from 8.oo p.m. by clicking the link in this post by the University of Groningen. Read what Eva Daussà has to say about his arrival in the article below (in Dutch).